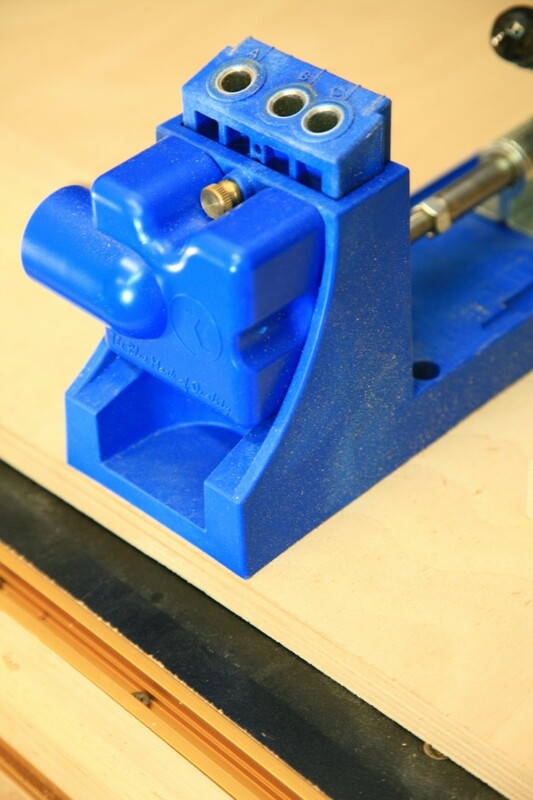 Overhead view of a simple, effective, and useful mount for a Kreg Jig. 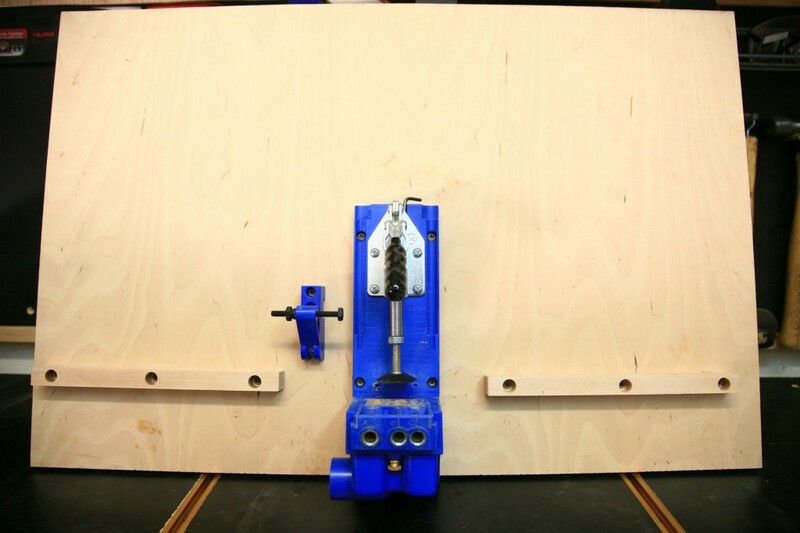 This offers support when drilling pocket holes in long pieces or plywood cabinet sides. 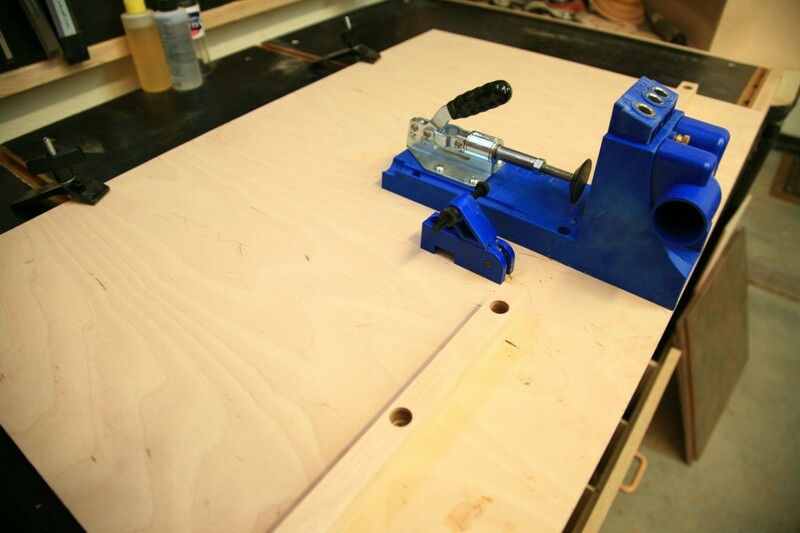 Pocket hole joinery has been around a long time, but it was the Kreg Jig that made pocket holes quick and simple to do. 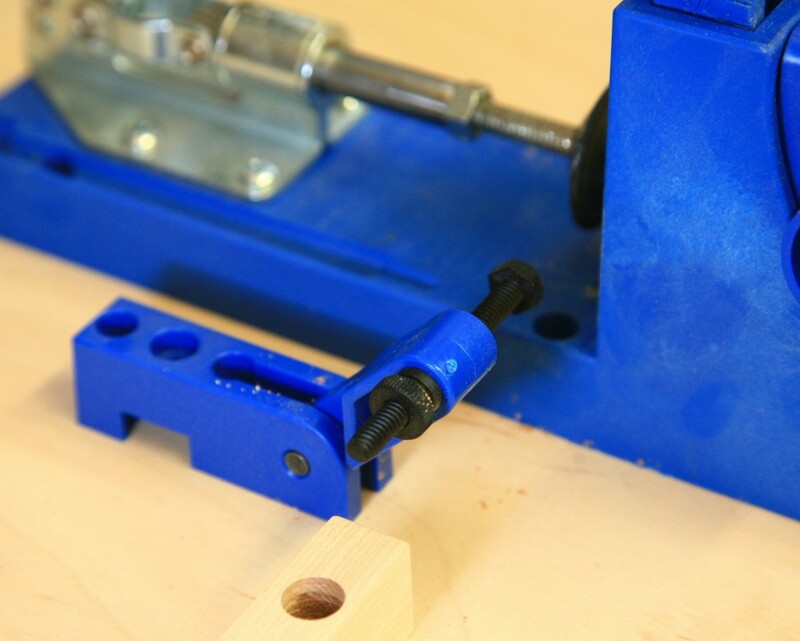 Invented in the late 1980s by Craig Sommerfeld, the jig allows a woodworker of any skill level to build reliable, strong, and rapid square joints that hide the screws. From there, it’s an endless world of projects that you can knock out without having to wait for glue to dry. 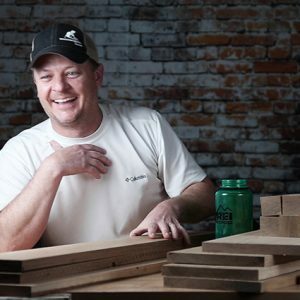 Build picture frames, cabinet boxes, shop jigs, face frames; assemble coffee tables, benches, bed parts, etc. 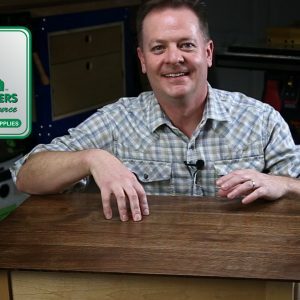 You’ll find thousands of home projects built with the Kreg Jig on how-to websites like Ana White and Kreg’s owner community. The jig itself is the blue thing, about 3″ wide and 10″ long. 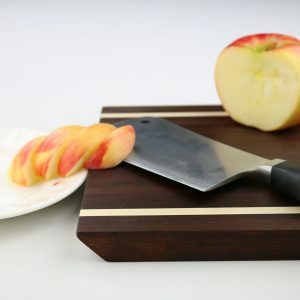 While it’s manufactured with a smart notch for clamping down to your workbench or table, sometimes you want to do better than that. The mount you see here is just a piece of 3/4″ thick Baltic birch plywood cut to 20″x16″, an arbitrary size. 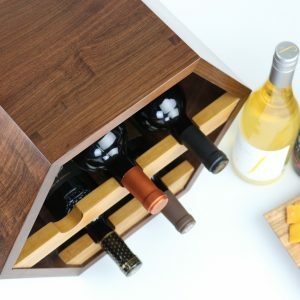 The key is to have a workable surface that can be clamped down and that can support a long workpiece like a cabinet side. Long workpieces are supported by these hard maple blocks. Level with the Kreg Jig base at 1″ tall for perfect support. 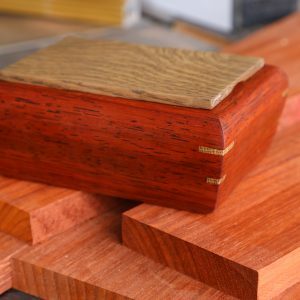 Helpful for drilling into long pieces and keeping them square. Screw holes are countersunk. This mount is held down on a t-track (hold downs in background), but it can also be clamped. Kreg jig is screwed to the plywood base and butted against the plywood edge. Kreg includes a stop for replicating pocket holes in the same position of multiple workpieces. It flips out of the way when you don’t want to use it.